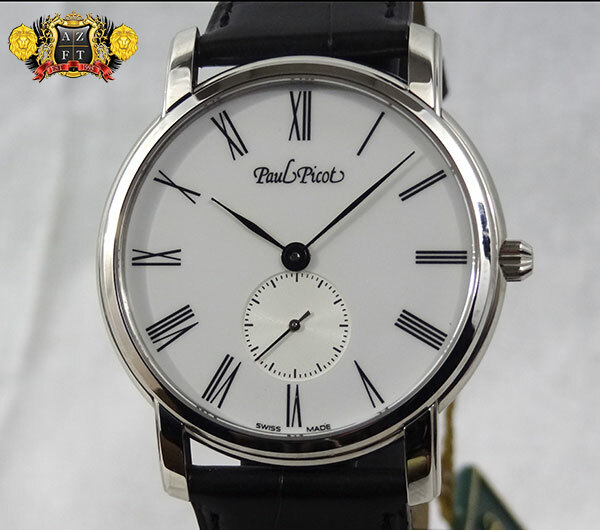 Paul Picot had a wide selection of new offerings at fantastic price points. The brands quality never ceases to amaze everyone here at AZ Fine Time, and the new selections are no exception. 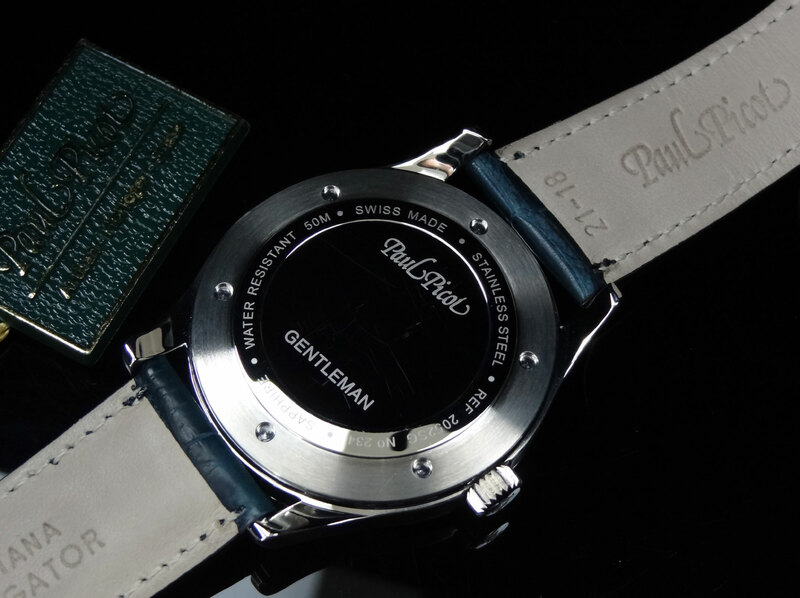 One of the favorite new collections be released by Paul Picot is their new Firshire Ronde MEGAROTOR series. 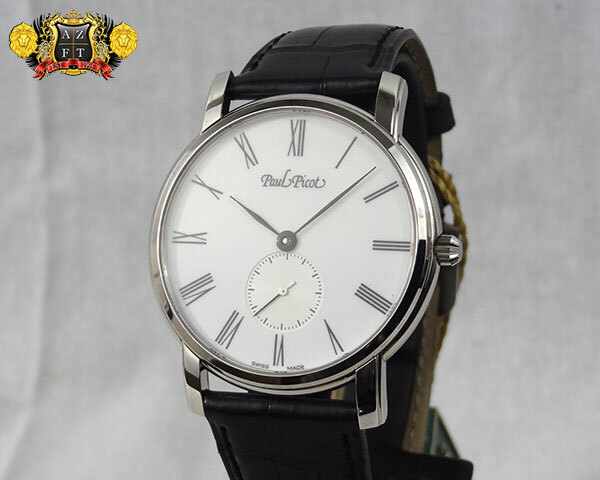 AZ Fine Time has a long history with the brand Paul Picot. In fact, we actually started carrying them well over 13 years ago. Originally, the brand was brought in while AZ Fine Time, was still know only as Cigar King and was based in the North side of Chicago. 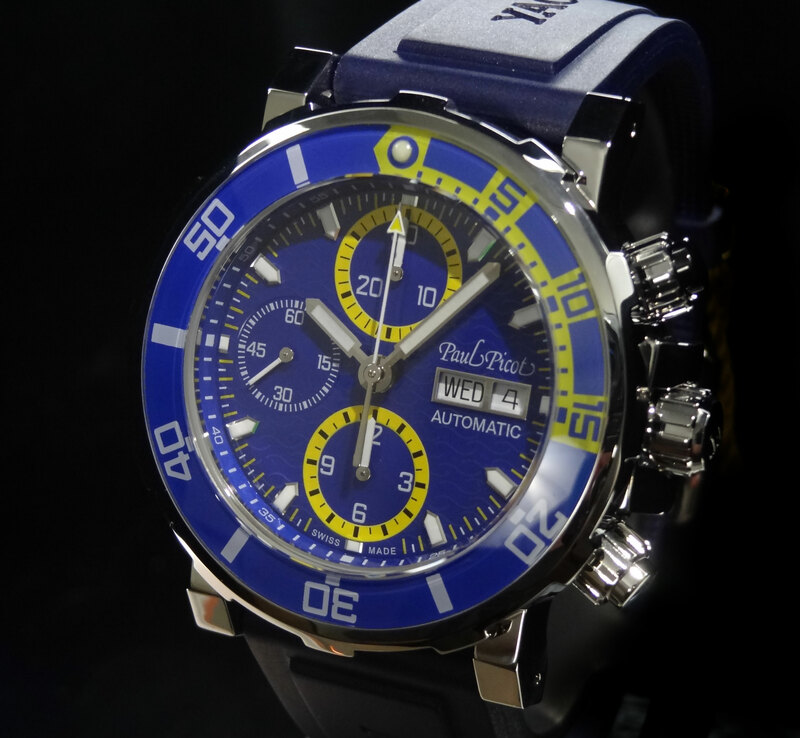 The owner of the store, Mitchel, was infatuated with unique Swiss watch brands and had a roster of lines that, while not well know back then, have become very popular today. 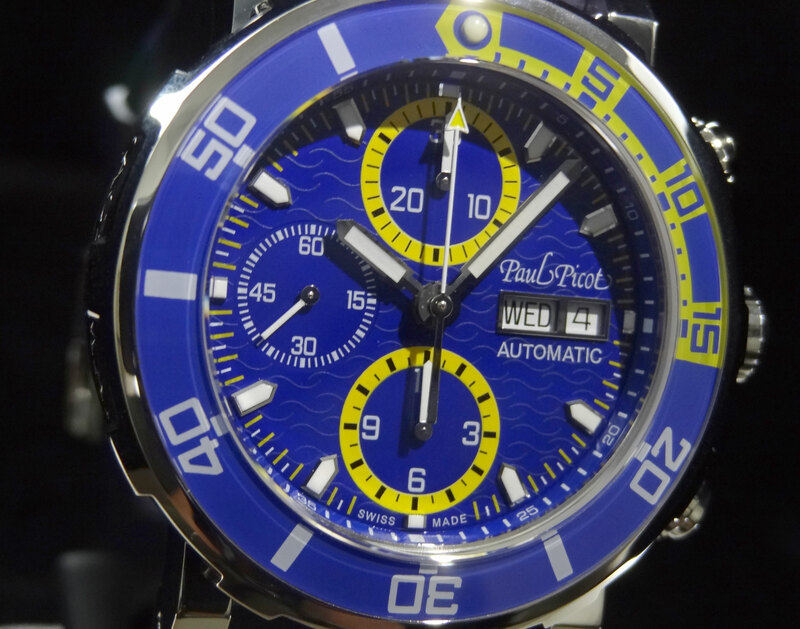 Once Mitchel had left the store in Chicago to open his store out here in AZ, Paul Picot became one of our hottest brands. The Firshire and the Plongeur were in constant rotation at our new found location. Unfortunately, about 5 years ago, the brands US distribution was no longer in existence, and it became near impossible to attain these pieces in the US. 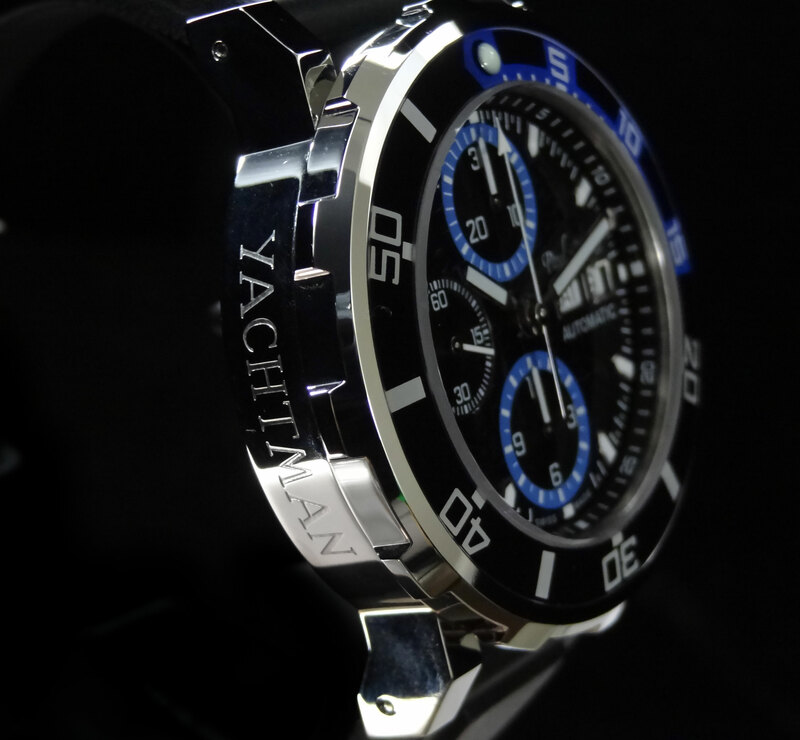 This year, after a visit to the JCK watch and jewelry show, we stumbled onto the brand again completely by coincidence. 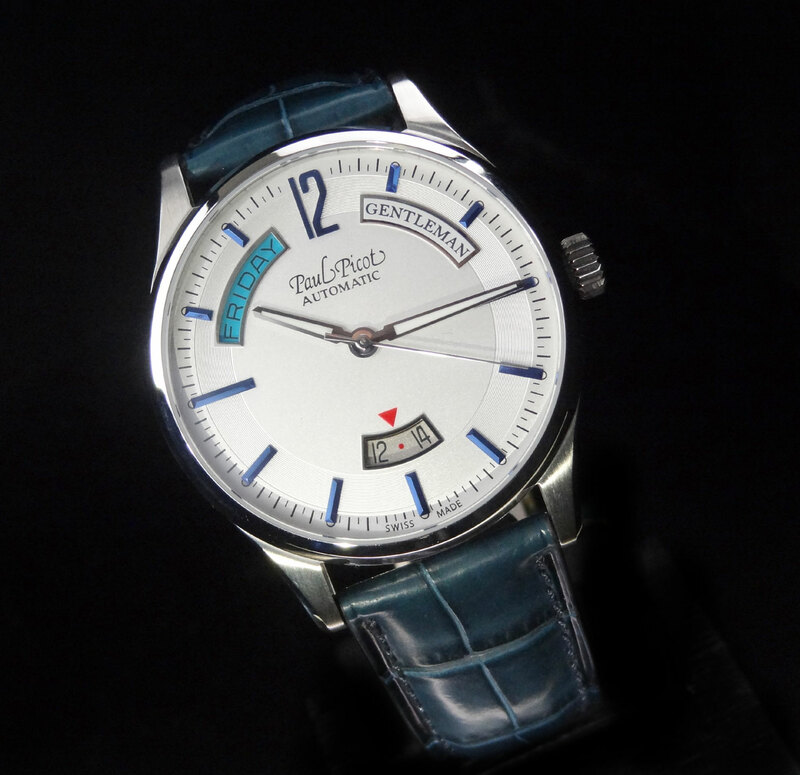 We are proud to say that after a long time, AZ Fine Time is proud to be a dealer, once again, for Paul Picot. There are many great pieces that this brand has to offer. 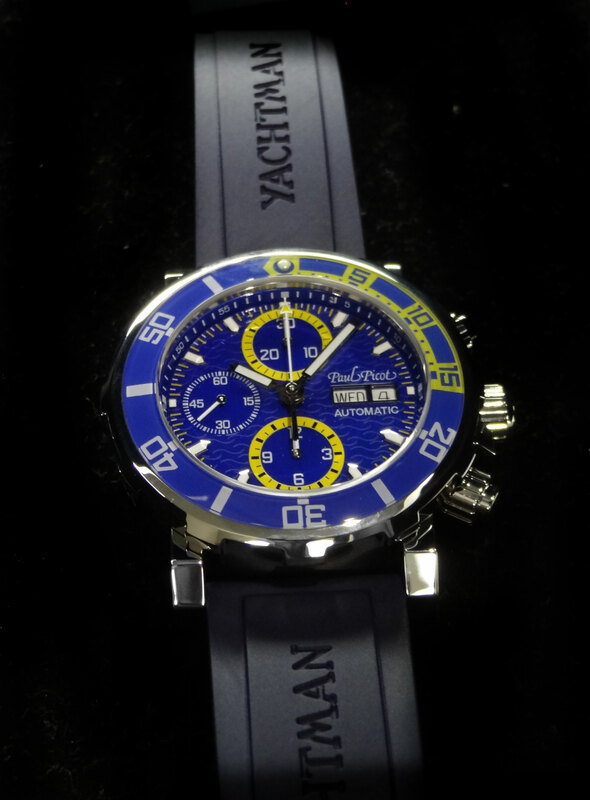 One that caught our eye the most was the newer variation C-Types, called the Paul Picot C-Type Yachtman 3 Chronograph. 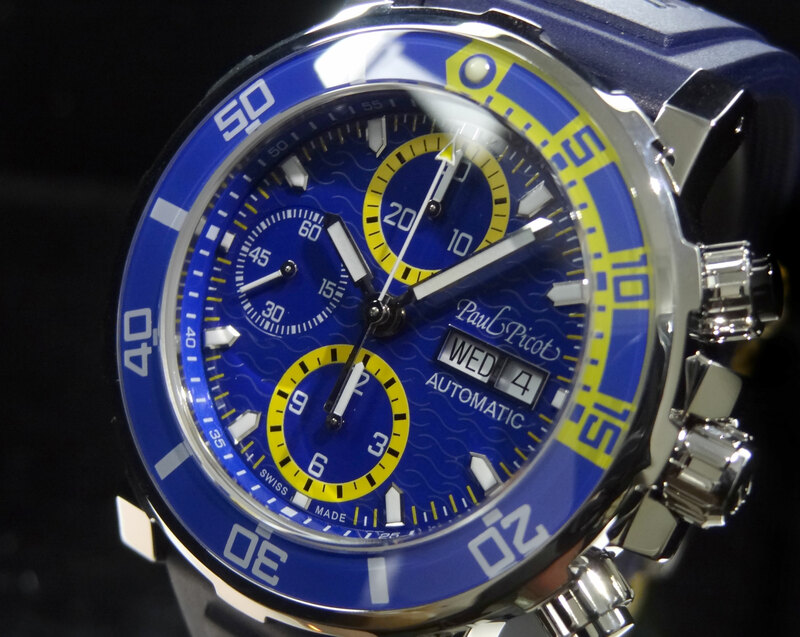 A newer piece from Paul Picot, the Yachtman 3 Chrono is a beautifully done 200m diver, with some great color options. The 1st 2 we have received are the black and blue, and the blue and yellow. 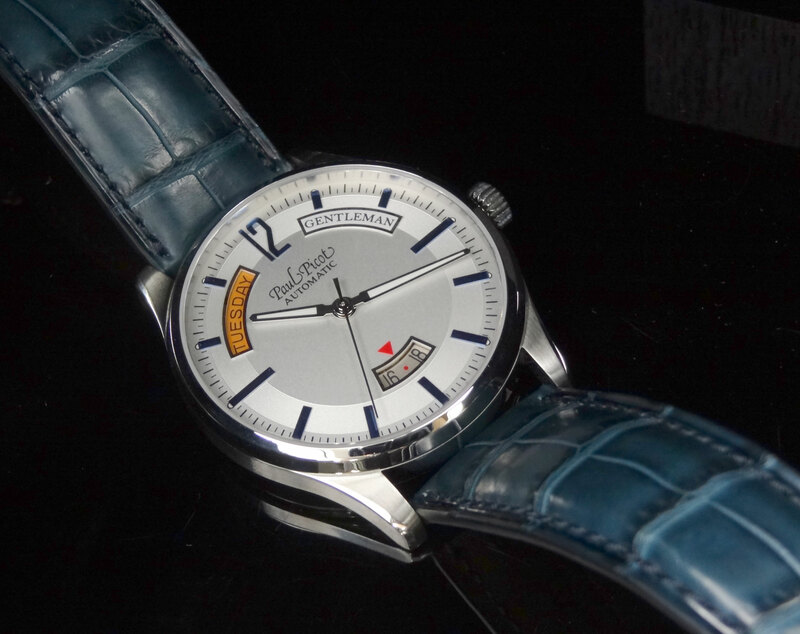 The watch cases are gorgeously finished . The case is a high, near mirror, finish that really sparkles. 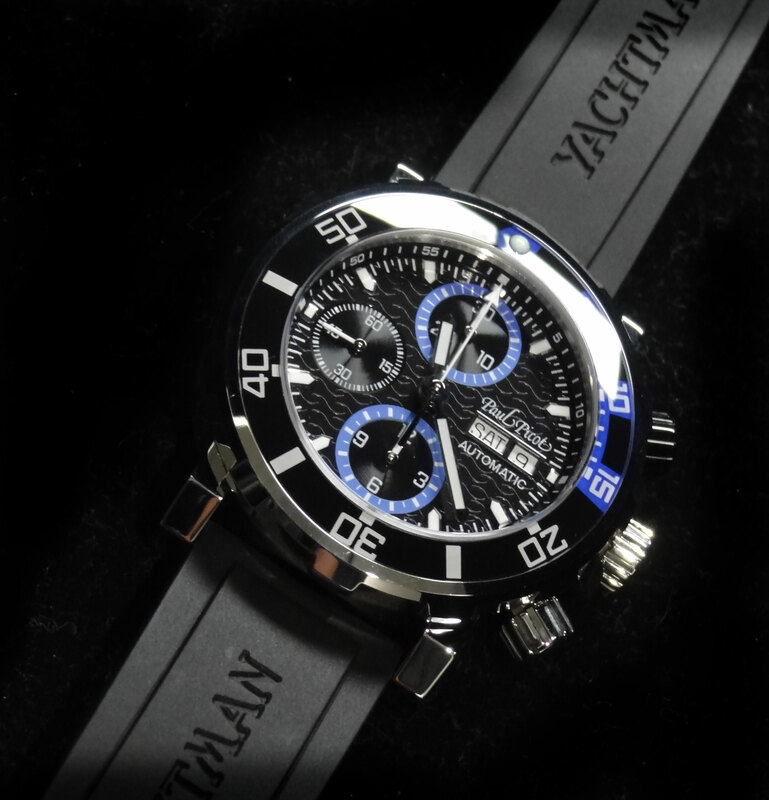 They have also engraved the word “Yachtman” on the side of the case, just in case you forget which model you have. 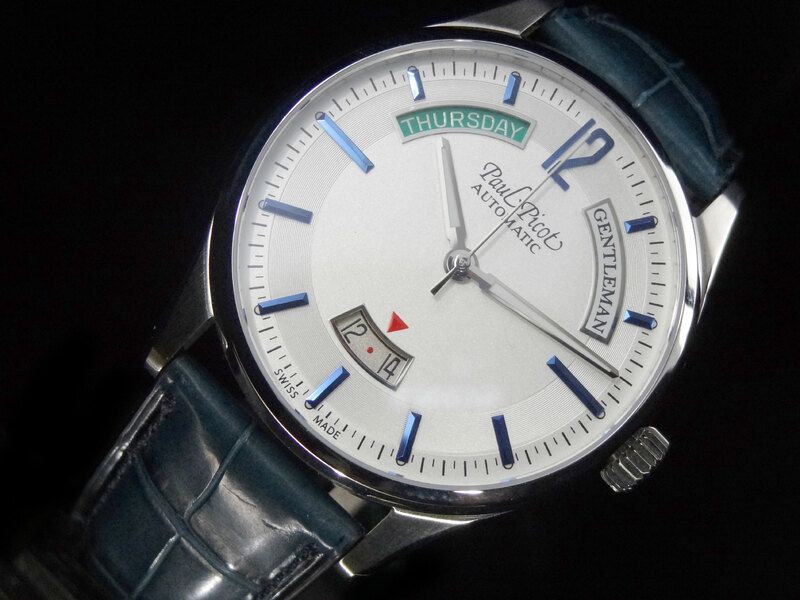 The bezel is also highly polished on the sides and has a gear like shape to it. 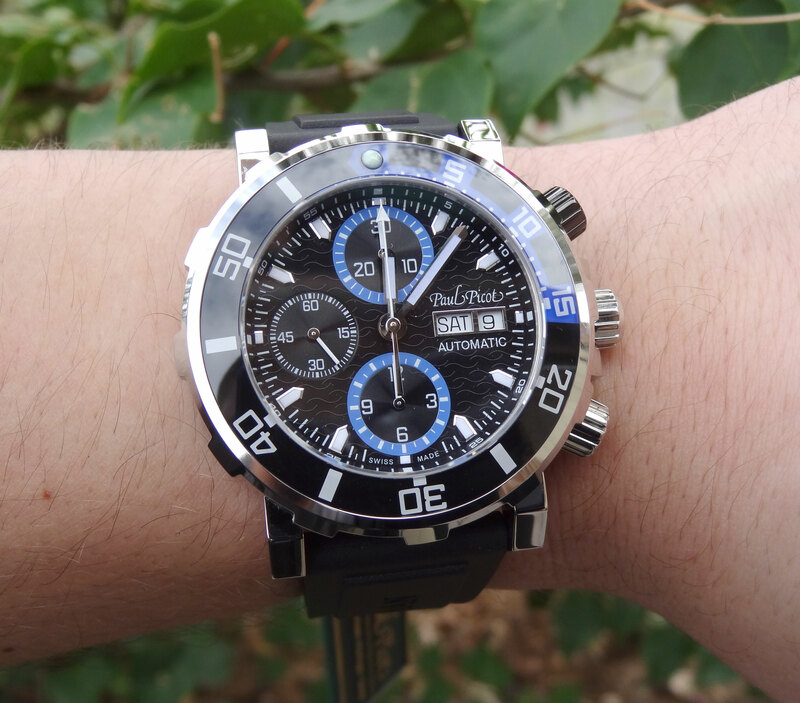 This makes for an easy grip on the uni-directional rotating bezel. There is also sapphire crystal protecting the front side of the bezel, allowing the cool color combinations to be seen from underneath. 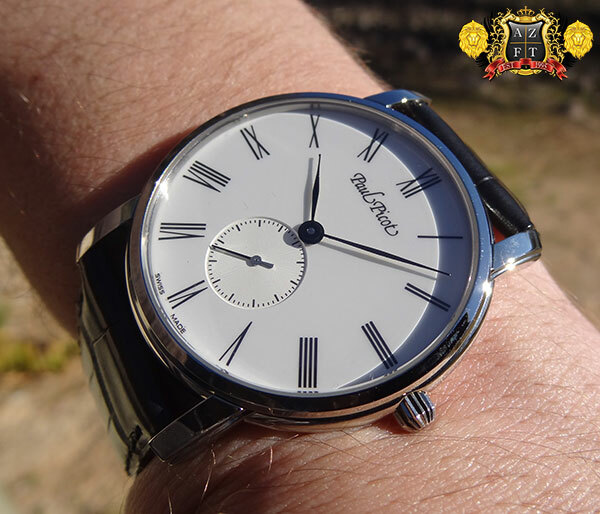 This way, you cannot scratch bezel as it protrudes out furthest off of your wrist. The dial on these pieces are awesome. 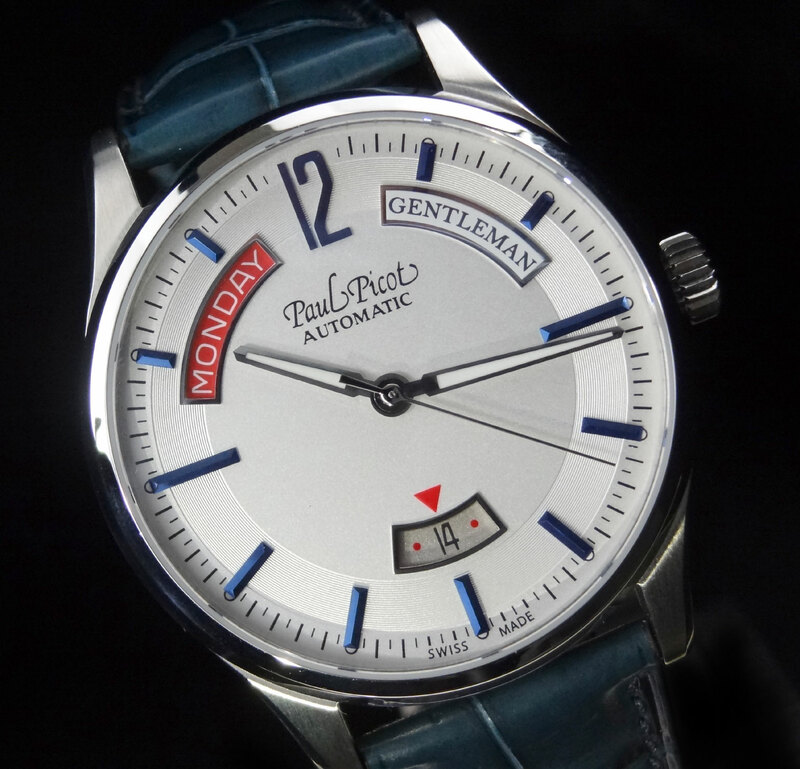 There is a wave pattern on the highly polished black or blue dial. 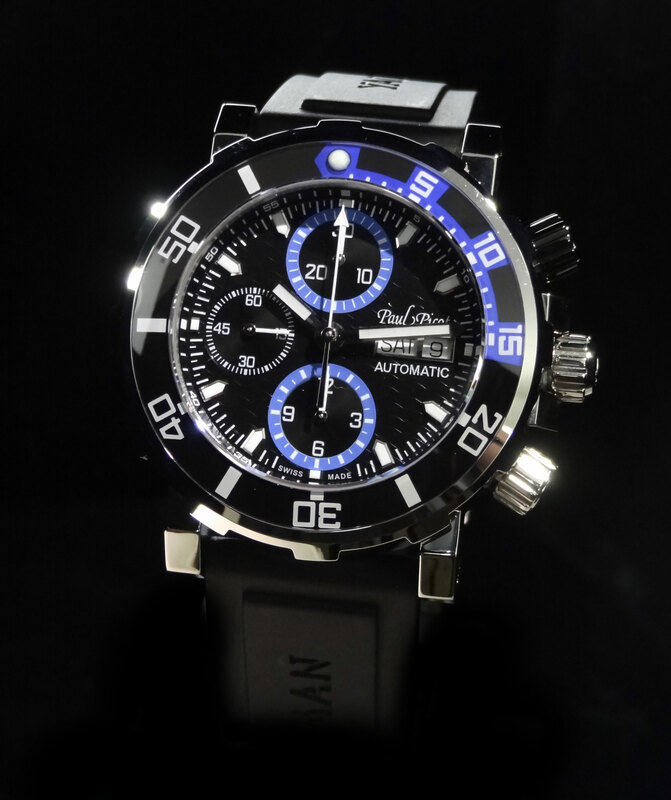 It gives the watch a neat detail that definitely catches the eye. 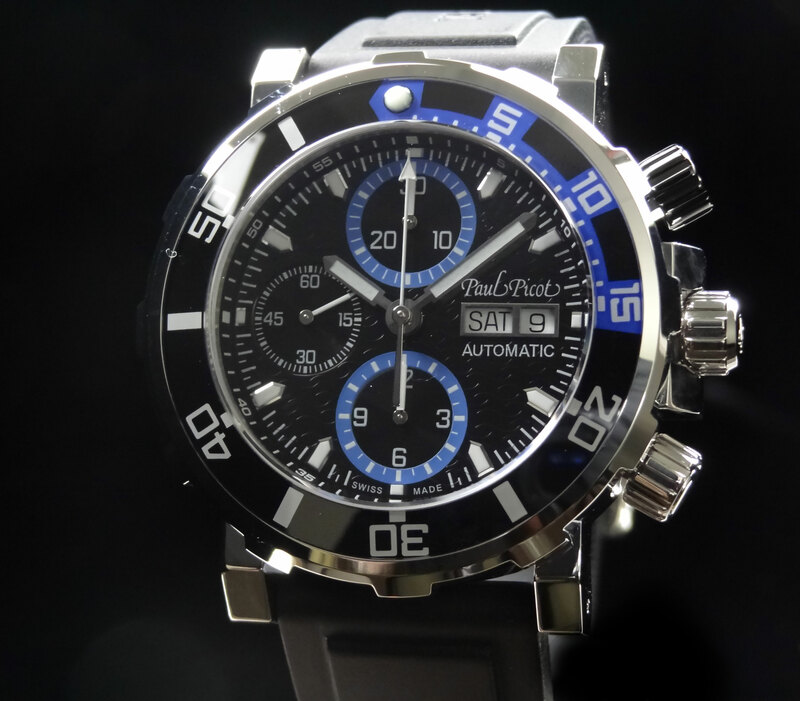 The contrast rings around the chrono sub-dials are also a very nice touch. 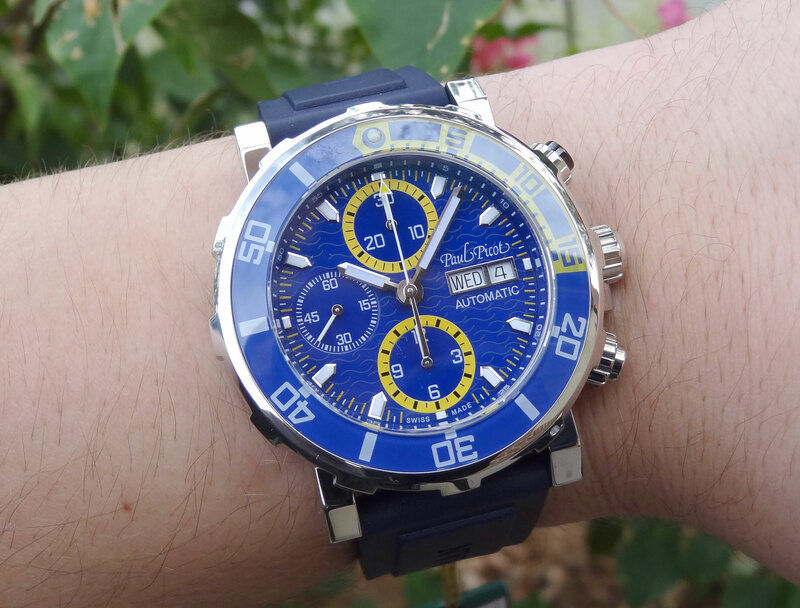 With yellow rings on the blue dial and blue rings on the black dial, it makes it very easy to distinguish the chrono hours/minutes from the actual seconds counter which has no ring around it at all. 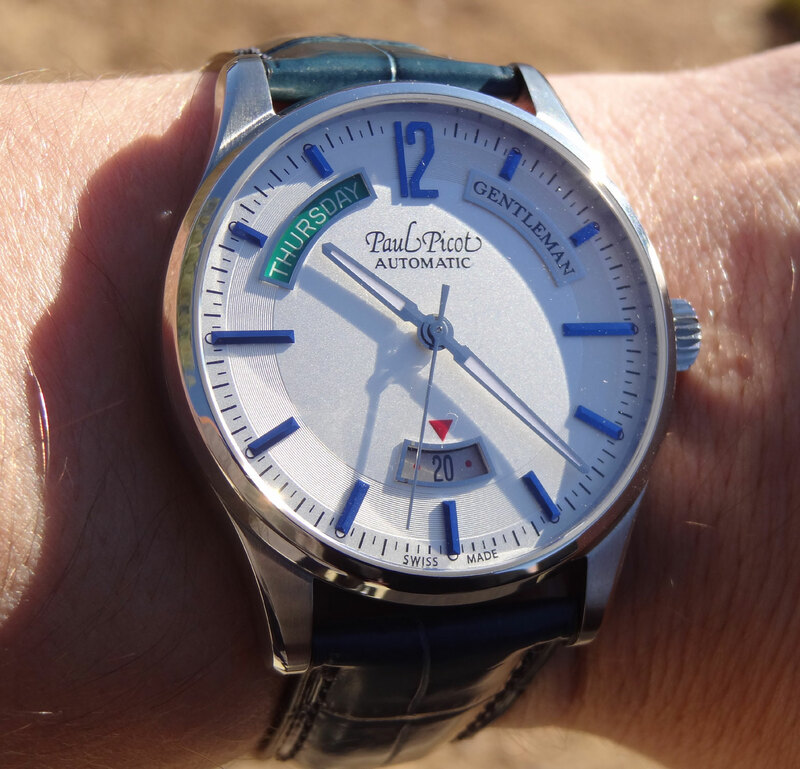 The movement is a PP1600 which is a base Valjoux 7750. 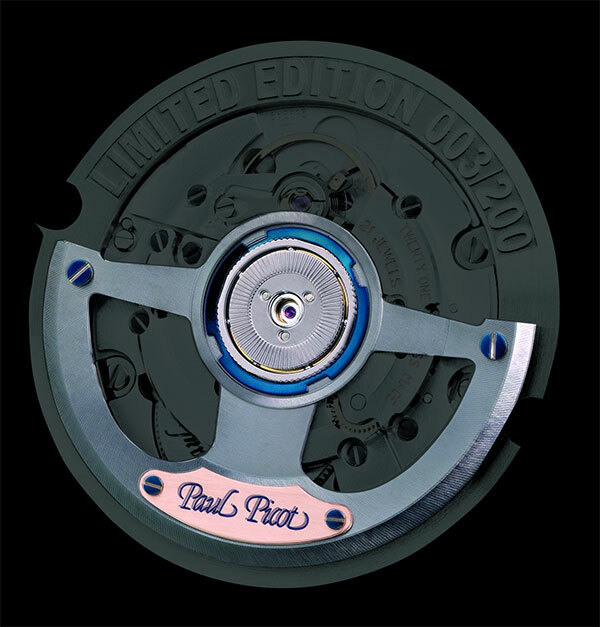 While you can find a 7750 in many fine Swiss watches, Paul Picot decorates and modifies their movements to the highest degree. 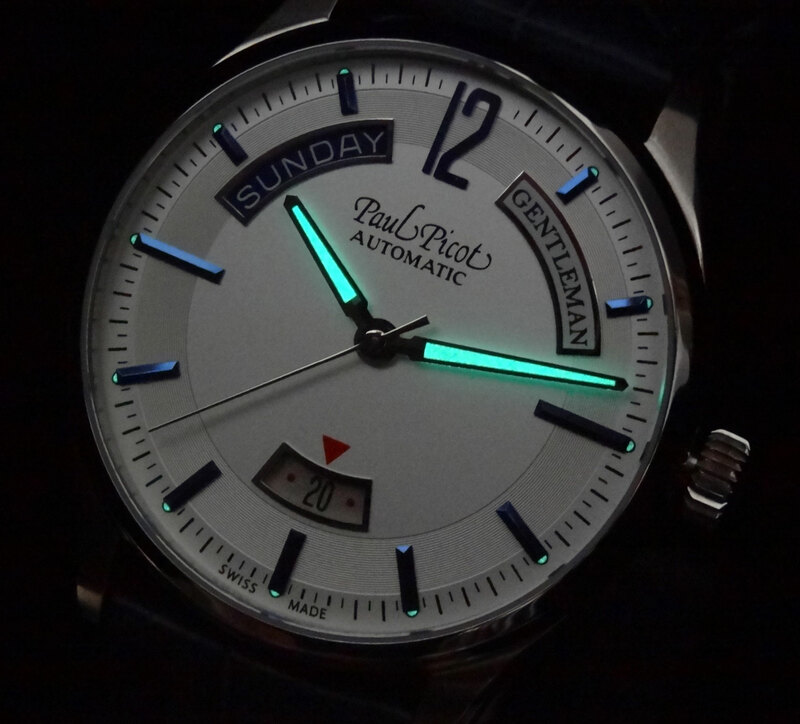 The Paul Picot C-Type Yachtman 3 Chronographs both retail at $4680 and come with both rubber strap and stainless steel bracelet. AZ Fine Time is one of the few authorized dealers for this brand in the US and is happy to help with any questions anyone may have.